When your week starts getting busy, you may lack time to clean your home as often as you want. Rooms that get less attention due to our busy schedules are the bedrooms. This leads to a lot of dust and grime accumulation that makes the room uncomfortable. This can be sorted out by dedicating a maximum of forty-five to one hour of cleaning your bedroom during your off days. Bring back the glam in your sleeping area by carrying out a thorough cleaning from the dirty clothes to the walls of your room. Strip the bed of the beddings, remove the curtains and dirty clothes and set them aside for washing. By the time you are done cleaning the room, the laundry will be sorted out. Also, empty your wastebasket and throw away the trash. Using a cotton mop, start with the walls and corners and dust them evenly. For places that you cannot access, e.g., the corner of wardrobes, use the extension on the vacuum to clear out the cobwebs. For the heating areas and air conditioning vents, use a vacuum to clear the dust. 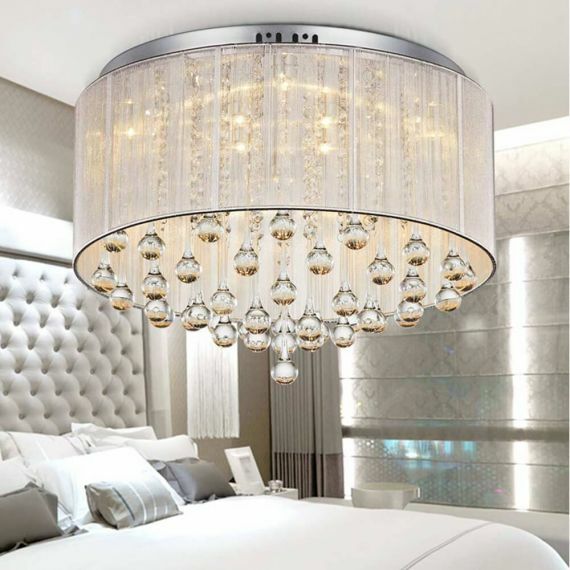 For your bedroom ceiling light, start by turning the fixture off. If it has a removable shade and places it on a flat surface. If your ceiling light is made of glass and porcelain, start cleaning off the dust by wiping with a lint free cloth. Proceed with a damp cloth to wipe off the dirt well and avoid water spots. For your bedroom floor lamp and bedroom table lamp, you will need to handle them carefully. After switching the fixture off, remove the shade. For lamps with a fiberglass lampshade, ensure you dust the inside and outside parts using a damp microfiber cloth. Afterward, put some warm water and all-purpose soap in a sink and wash the shade with a soft cloth. 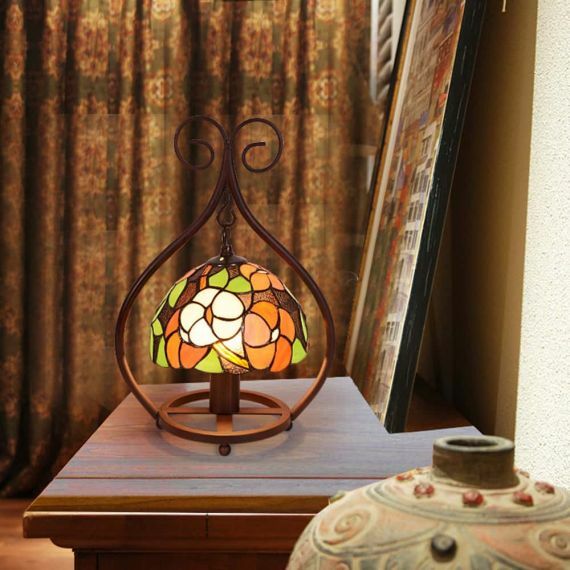 If the lampshade is too dirty, add some vinegar, rinse well in warm water and place let it dry. Using a microfiber piece of cloth and some warmed soapy water, wipe the mirrors, window tracks and sills. Start the wiping process from top to bottom to avoid water drip marks. After this, use a glass cleaner and a clean cloth to polish the mirror and windows. Wipe the walls using a damp clean cloth using circular motions from top to bottom. In case you have any wall hangings such as picture frames or wall clocks, set them aside and wipe with a clean damp cloth. Use a disinfectant spray and a cloth to clean the doorknobs and the light switches. When cleaning these surfaces, always start from the highest working down. Choose an appropriate glass cleaner, antibacterial wipes and dusting spray for the surfaces. When wiping the bedroom surfaces, also pay attention to tables and chair legs, the fronts of dressers and the poles of your lamps. You will have to use a vacuum extension to clean under the furniture like the bed and tables. Remove the carpets and rugs, sprinkle some baking soda and vacuum them as well. Always consider the floor material. For instance, if you have a hardwood floor, mop using clean soapy water and rinse it out. Make your bed neatly with the spare set of sheets if your linens have not yet dried out. Arrange your bedroom furniture to their original places place in clean curtains for your windows. Everyone enjoys sleeping in a bed with clean sheets and a spotless room. If followed to the latter, steps above will help you turn your bedroom into a relaxing and clean place in less than an hour.